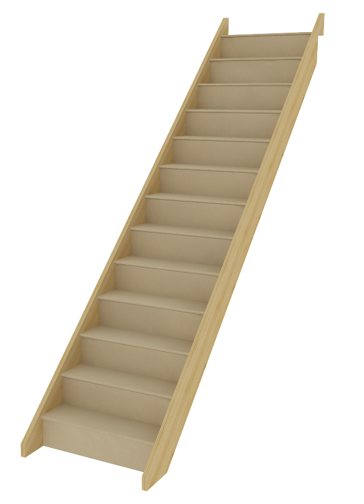 Our new trade range of Timber Staircases are suitable for domestic use, for both new build and renovation. Available in a range of different designs including straight and winder flights, in a range of floor heights. Choose from Turned or Stop-Chamfered balustrades. If you require bespoke or hardwood staircases please call us on 01444 831174.